Michael seeks help of his fellow prison inhabitants to execute his escape plans. When Michael reveals his escape plan to Sucre, Sucre chooses to be no part of it, and requests a cell transfer. Michael gets a new cellmate called Haywire. Veronica keeps uncovering new information regarding Lincoln's case and decides she wants to work on the case full-time. When no one wants to help her on the case, Nick Savrinn (an attorney) offers his assistance and the two of them visit Lincoln. Kellerman and Hale blackmail Warden Pope. Michael finds out he might get out earlier than anticipated. Veronica becomes uncertain of her allies. Michael creates a lockdown by sabotaging the air conditioning in order to execute his breakout plan properly, and unintentionally causes a riot that gets Sara into huge trouble. Meanwhile, an ex-con is blackmailed into seeing to that Lincoln is killed. While the riot intensifies, Abruzzi and Sucre join forces. Michael must decide whether or not to save the life of Dr. Tancredi. Michael finds out a storeroom fundamental to his escape plans has been converted into a break room. Veronica and Nick are being threatened. 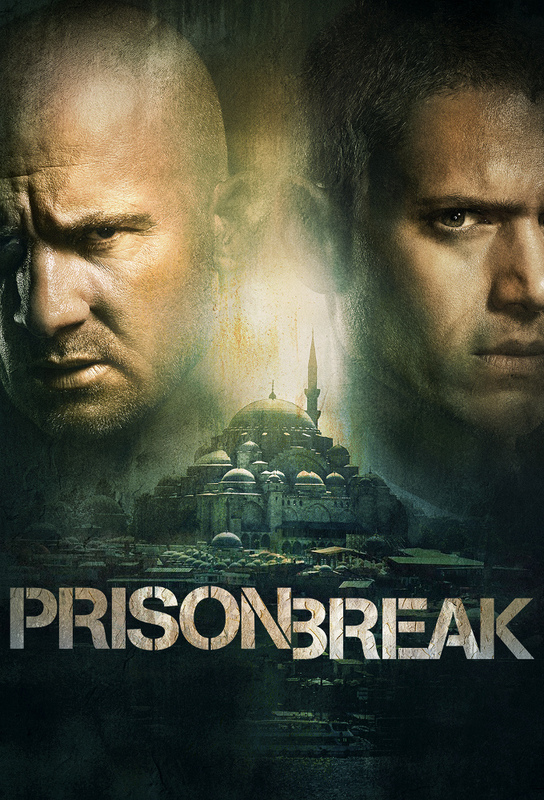 Abruzzi's demotion in the prison hierachy puts the entire escape plan at risk. Michael finds himself in the uneviable position of trying to protect T-Bag's new "fish" and facing the threat of T-Bag exposing the plan to the guards. The inmates dig themselves into a hole. Michael is forced to give up Fibonacci's location to Philly Falzone, and Kellerman and Hale get a little unwanted help to track down LJ who has gone missing. Veronica and Nick uncover evidence against the man Lincoln was convicted of murdering. The escapees and Dr. Tancredi are shocked when they learn the identity of Michael's visitor, who brings with her a very important piece of the escape plan. Michael sees proof his plan is working, so he begins to overcome the last obstacle. As the escape draws near, the group tries to reduce its number by one and targets T-Bag. Veronica and Nick request a judge to postpone Lincoln's execution. A C.O. becomes suspicious about a broken door. Flashbacks shed light on the past actions that led to the incarceration of Lincoln, Sucre, T-Bag and C-Note. Basis of Michael's ingenious break-out plan are revealed. Dr. Tancredi memorizes how she ended up in Fox River State Penitentiary. Lincoln is worried about Michael's sanity while Michael has trouble remembering some parts of the prison schematics. Sucre has to conceal the hole in the guard's break room. Warden Pope transfers Michael to solitary after he declines his request. In an effort to recreate the missing piece of the tattoo, Michael gets transferred to the psych ward, seeking the help of Haywire. T-Bag and C-Note have to join forces. Michael must get the key to the infirmary and enlist the help of an old face, while Lincoln learns the identity of his kidnapper and another inmate learns of the escape. Everyone's ready to make their escapes across the high wire. Veronica and Nick realize they may be in over their heads. And Agent Kellerman helps Vice President Reynolds calm down before her debate.